Interested in Irish Travel? Spend your honeymoon in Ireland. 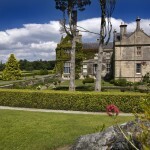 Stay in an Irish Castle. This Taste of the South 6 night self drive tour will ensure that you get to see as much of Southern Ireland as possible during your short stay. 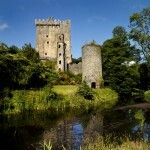 Must see locations included in this tour are The Ring of Kerry , Cliffs of Moher, Blarney Castle and many, many more. You will travel through quaint villages , along magificent coastline and end your tour in the vibrant capital city – Dublin. Why not finish the tour with a pint of the black stuff at the Guinness Storehouse ! This tour is based on arriving and departing through Dublin airport , the itinerary can be amended to suit alternative airports/ferryports. Irish Travel will never be forgotten! Your Irish Travel will include many great attractions and sites. Just north of Dublin, you will find Ireland’s most visited attraction, the megalithic tombs in Newgrange. One of the great wonders of the ancient world, Newgrange is older than Stonehenge, Mycenae or even the Pyramids of Egypt. The magnificent entrance slab – ‘one of the most famous stones in the entire repertory of megalithic art’ – is especially satisfying, the confidently executed spiral and lozenge motifs still crisply defined after 5,000 years. Also close by are the Hill of Tara, said to be the seat of the ancient high Kings of Ireland and of course Trim castle, the setting for the Mel Gibson movie ‘Braveheart’. You may of course prefer to travel directly west to Galway City which can now be achieved is just over 2 hours. However, another slight detour at Moate just before the town of Athlone will bring you to the Ancient Monastic Settlement of Clonmacnoise. An early Christian site founded by Saint Ciaran in the 6th century on the banks of the River Shannon, the site includes the ruins of a cathedral, eight churches (10th -13th century), two round towers, three high crosses and large collection of early Christian grave slabs. On to Galway, the ‘City of the Tribes’, also known as Ireland’s Cultural and festival capital. With its street entertainers and traditional pubs with great music, Galway and in particular, the Quays area of the city centre will enthrall you particularly in the evening time. Other sites in Galway include Ireland’s largest medieval parish church, the Collegiate Church of St Nicholas of Myra dating back to 1320. Christopher Columbus reputedly worshipped in this church in 1477. Also nearby are Galway Cathedral, the Spanish Arch and Eyre Square. The most direct route will take you via Bunratty castle in County Clare, Limerick City of ‘Angela’s Ashes’ fame and the pretty Village of Adare in County Limerick followed by the town of Killarney. The longer more scenic route will take you to killarney via the west coast of County Clare where you will encounter the lunar like Burren Region, the ancient megalithic tombs at Poulnabrone and of course the truly spectacular Sea Cliffs at the Cliffs of Moher. The Burren, from the Gaelic word Boireann is an area of limestone rock covering imposing majestic mountains, and tranquil valleys with gently meandering streams. 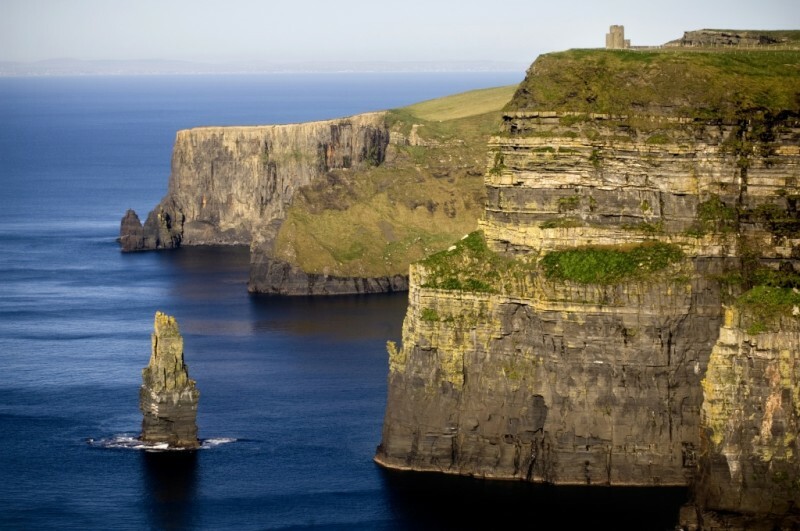 The Cliffs lay claim to one of the most astonishing views in Ireland, on a clear day the Aran Islands are visible in Galway Bay as well as the valleys and hills of the Connemara region. The Cliffs of Moher rise from Hag’s Head to the south and reach their highest point (214 meters) just north of O’Briens Tower. Before the cliffs however is the village of Doolin. Doolin is a small fishing village on the northern end of the Cliffs of Moher. Doolin is world-famous for its wealth of Irish folk music and in recent years has been attracting crowds to spontaneous sessions and festivals or ‘fleadhanna’ of Irish and international music. A ferry operating from Doolin Pier is a daily service that can take groups of up to 150 people across to the islands or to the base of the nearby cliffs. Time permitting, a visit to Muckross House and Gardens in Killarney’s national park is a must as well as a visit to at least one of the great traditional pubs in the town complete with excellent music and company. You can also visit The National Stud. The National Stud comprises three separate attractions. The 1,000 acre Farm at Tully has been in use as a Stud Farm since 1900 when it was owned by Col. William Hall-Walker. It is home to some of Ireland’s finest thoroughbreds. There’s a Horse Museum tracing the history of the horse in Ireland using artifacts, illustrations and text and the skeleton of the legendary steeplechaser ‘Arkle’. In fact the winner of the 2003 Californian ‘Breeders Cup Mile’ race is a National Stud horse, the 3rd in the last 9 years. . The quandary that you will be faced with when you reach Dublin is, not what you should see but that you should leave out. Knee-deep in history and with it’s own unique sense of humour and wit, Dublin is an invigorating city. Take the opportunity to visit some of Ireland’s most history laden locations, including Trinity College and the Book of Kells, Dublin Castle, Kilmainham Gaol, The National History Museum and not forgetting The Guinness Brewery, St. Patrick’s Cathedral & why not finish up the day in Dublin’s Temple Bar section and enjoy the wonderful pubs and music it is famous for.